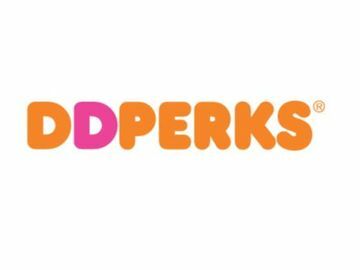 What could be better than pairing your favorite Dunkin’ Donuts coffee or Baskin-Robbins ice cream treat with doing some good? 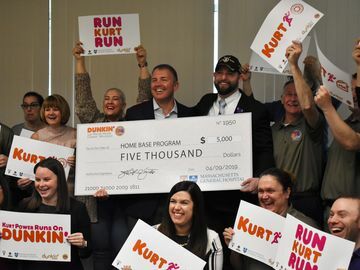 Throughout April and May, we hosted our first National Paper Icon Fundraiser at participating Dunkin' Donuts and Baskin-Robbins restaurants across the country. Guests were invited to make a donation starting at $1 to The Dunkin' Donuts & Baskin-Robbins Community Foundation and in appreciation of their donation, guests could sign their name to a paper cup or pink spoon icon to display in the store. Stores from California to New York to Florida proudly displayed the names of generous customers who wanted to make a difference in their local community. We are thrilled to announce that due to the kindness of all those who participated, we raised nearly $180,000 to support critical needs in our communities! 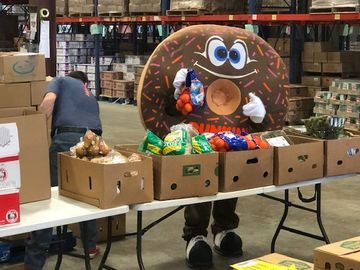 Funds raised will be granted by The Dunkin’ Donuts & Baskin-Robbins Community Foundation to local nonprofit organizations that address hunger, safety and children’s health in our neighborhoods. A big thank you to our loyal customers for their continued support in raising much needed funds for our Dunkin' Donuts and Baskin-Robbins communities! 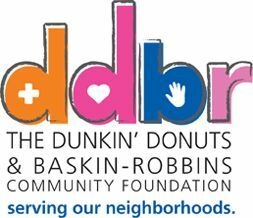 To learn more about The Dunkin’ Donuts & Baskin-Robbins Community Foundation, please visit our Facebook page.